Is technology now mature enough to allow hackers to penetrate our mind? Brain hacking refers the possibility to attack the human brain to extract sensitive information such as data and memories, including also the capability to inject new information. 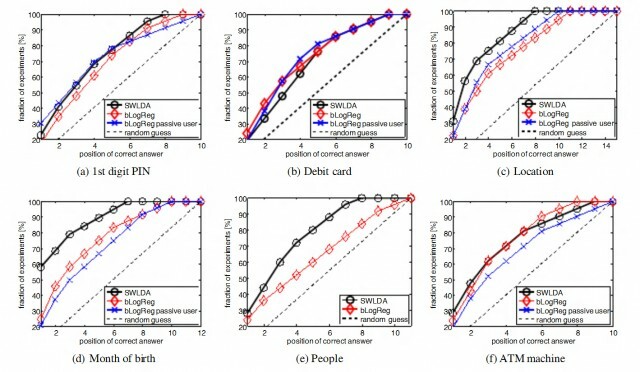 Hacking the brain makes possible the disclosure of sensitive information such as the debit card PIN, home location and month of birth. Exactly as any other information processor, the human brain may be vulnerable to hacking attacks, and state of the art of technology already allows researchers to measure changes in the electromagnetic field related to brain activity enabling the reading of peoples’ thoughts. Neurotechnologist Philip Low is currently working to the designing of a portable brain monitor called iBrain that can detect the brain’s electrical activity from the surface of the scalp, individuals with amyotrophic lateral sclerosis or similar pathologies still have healthy brain activity and the iBrain could be used to control a mouse pointer on a computer screen. But also the device might be used to hack the brain. Recently researchers at the Usenix Security conference have demonstrated that exploiting a zero-day vulnerability in a brain computer interface it is possible hack it. 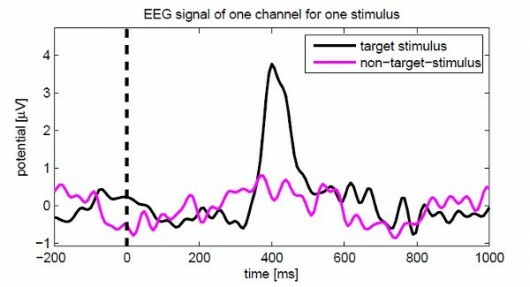 The scientists used a commercial off-the-shelf brain-computer interface for the brain hacking, resulting in the disclosure of private information that victims had in their minds. 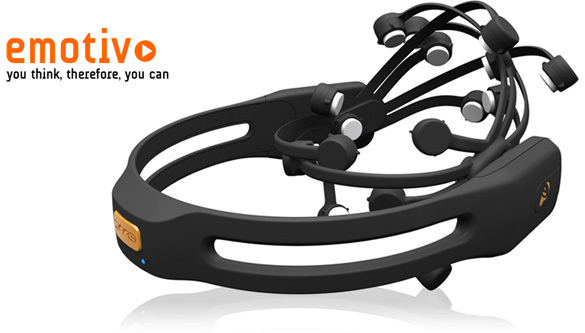 The price for a Brain Computer Interface device has steadily decreased in the last several years, and today just $200-$300 is sufficient to buy an Emotiv or Neurosky BCI. With these devices one is immediately able to control the computer by thought. Brain Computer Interface devices generally come with an API which developers use to build applications based on the BCI’s output. Researchers from the Universities of Oxford and Geneva, and the University of California, Berkeley for example have designed an application able to access to sensitive data in the human brain. The following graphs illustrate the results of the tests conducted with 28 participants, it is important to specify that participants in the program were cooperative because they were not aware of the brain hacking. The pattern is observable when humans see something that is meaningful or recognize something that is related to their current task. The attacks appear to be ineffective with noncooperative subjects; this means that this technique is not usable during an interrogation, but victims could still be deceived with social engineering techniques. For example, they could led to believe they participating in a simple test or they could be told they are playing a video game controlled by the brain. So, brain hacking is reality! Hackers soon could be able to extract sensitive data from a human brain with high reliability. Moving forward we can imagine malware able to compromise our brain by capturing the electric impulses generated by our brains.What will be the next step? What could be the effect of an even more malicious attack on the human mind? The principal nightmare is related to mental modification, the possibility to alter the state of a human brain in situ, transforming the human perception of reality. But brain hacking could also focus the brain in an extreme state, such as extreme anger or fear, or move the mind in what is called “in the zone” status. Working “in the zone” might allow conventional hackers to work with extreme focus and concentration for extended periods of time or to consider more complex tasks and attacks. The zone state is characterized by a specific signature in the brain activity that could be artificially reproduced. The future is now … let’s start to think how to secure our brains! I've personally been involved with advanced manufacturing systems for over 30 years now; and in last 20 odd years 3D Printing (3DP) and additive manufacturing. I saw its birth in 1996 with Chuck Lee's 3D Stereolithography machine printing 3D physical objects. Almost 20 years on 3D printing is still in its infancy and still at the early adopter stage of market adoption and diffusion. But, it never fails to amaze me what comes out of the blue. Here's a snippet from Mashable Spotlight, which presents in-depth looks at the people, concepts and issues shaping our digital world. 'When Kaiba Gionfriddo was born prematurely on Oct. 28, 2011, everything seemed relatively normal. At 35 weeks, his doctors' main concern was lung development, but Kaiba was breathing just fine. Doctors deemed him healthy enough to send him home within a few days. Six weeks later, while the Gionfriddo family — parents April and Bryan, and two older siblings — were eating dinner at a restaurant, Kaiba stopped breathing and turned blue. After 10 days in the hospital and another incident, physicians diagnosed the infant with severe tracheobronchomalacia; his windpipe was so weak that his trachea and left bronchus collapsed, preventing crucial airflow from reaching his lungs. So Kaiba underwent a tracheostomy and was put on a ventilator, the typical treatment for his condition.